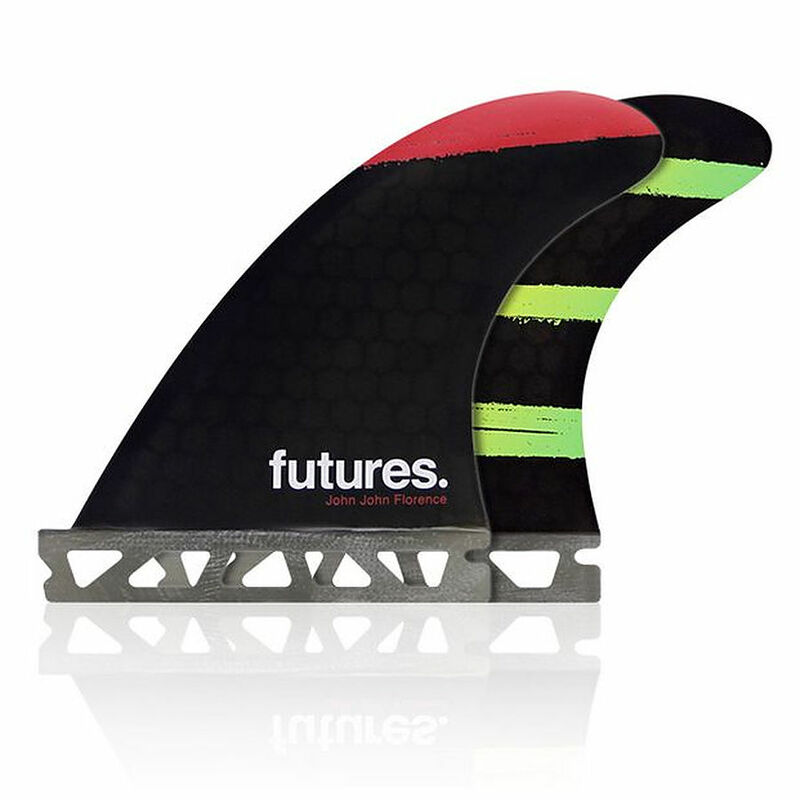 3.5	stars -	"Review for Futures John John HC XS Tri Set" Mark Taylor This Futures John John HC XS Tri Set is the best Fins Thruster I have tried. The John John Grom model is a re-release of his Signature Skull fin from 2008, back when he had long blonde hair and weighed a hundred pounds. The template is upright with a refined tip, providing a loose feel for the kids. The Honeycomb materials make it lightweight with a medium flex pattern, resulting a great all around ride for the next generation.